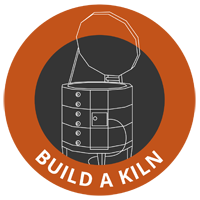 Let’s face it, building, running and maintaining a crucible kiln can be expensive. The GM818CR offers an affordable alternative to traditional melters. Internationally recognized Borosilicate guru Marcel Braun has been using these kilns for quite some time now. He works mainly on the torch but often incorporates gathered glass in his larger pieces. 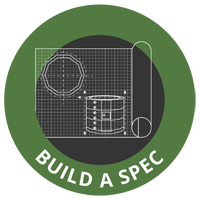 An electric melter allows you to easily and cost effectively heat up the glass you need for a week or even a weekend and then anneal the crucible when you are finished. Be sure to watch the video with him and legendary Artist Robert Mickelsen, collaborating on a truly masterful piece. Best one on the market. Gathering port is just right, not so small it’s hard to gather out of, not so big it dumps all the heat when you gather. Great for a small home or garage studio. Good addition to a full sized glassblowing studio as an affordable color pot. Easy to ramp down slowly, minimizing risk to your crucible. 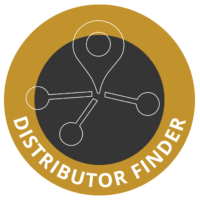 Small and easy to store when not in use. Easily programmable controller with indefinite hold. Most all of the kilns that leave are factory are equipped with a Type K thermocouple. Type K thermocouples are accurate and inexpensive. The downside to Type K thermocouples is that they wear out, and they wear out faster when exposed to extreme conditions. Type S thermocouples can virtually last forever. The reason for this is that they are made of platinum which does not degrade under most atmospheres and has an extremely high melting point. This leads us to one of their downsides, they are expensive…BECAUSE THEY ARE MADE OF PLATINUM!!! They are mostly used in scientific settings where they are constantly exposed to harsh environments like that of a crucible kiln. Because it is made of very expensive Platinum, the wire used to construct the thermocouple is very, very thin. On top of this, it is housed in a fragile high alumina cover. If you hit it with a crucible, it’s game over, so be careful. 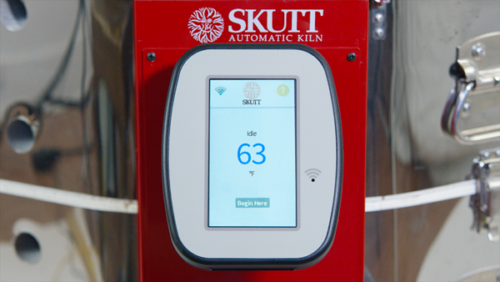 Skutt is one of the few brands that installs a Current Sensor in every KilnMaster Kiln. 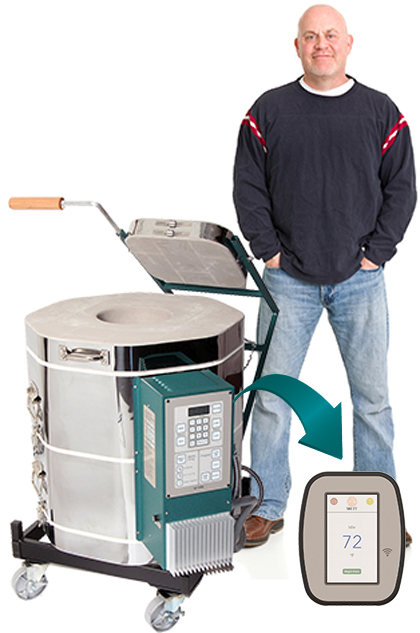 This allows you to read the Amperage of each section of the kiln as well as the Voltage and Voltage Under Load. Approximately 17 in. x 17 in. opening and 18 in. high: 2.3 cubic feet.